A beautiful and thoughtful gift for a baby shower or new parents. 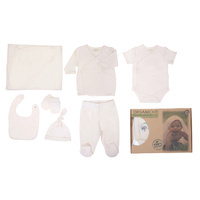 Made from soft, high quality, GOTS certified organic cotton, it is a complete set for the new arrival. 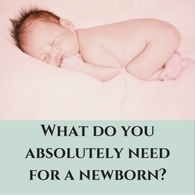 It includes a hat, mittens, short sleeve body suit, long sleeve top, bib, trousers and a blanket. Lovely matching pieces to have a little one come out in style. Mulitcoloured spots with a pink trim. 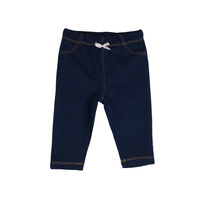 Made by Organic Kid, a children's clothing company based in Turkey, known for it's high quality textiles. Organic Kid produces all of its items with 100% GOTS certified cotton, for the highest quality and safety for our babies and environment. Their factory is also fully Fair Trade certified guaranteeing a high ethical standard for all employees.